Is Your Charter Broker Putting Your Boat First? 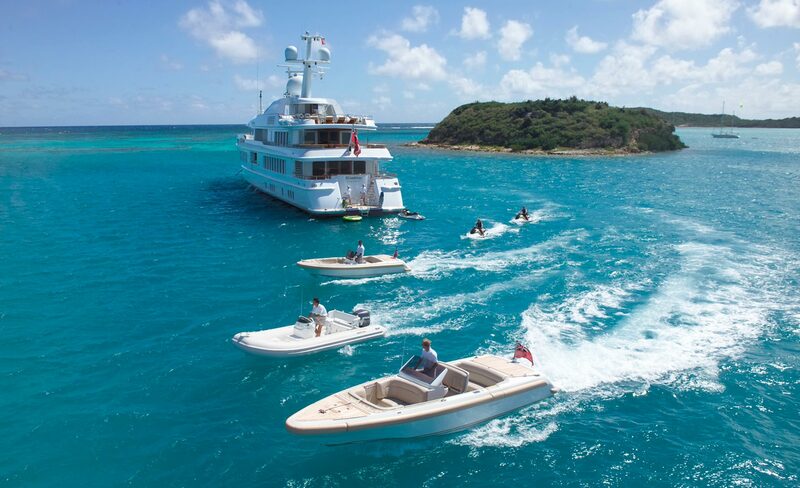 – Superyachts News, Luxury Yachts, Charter & Yachts for Sale. View: Is Your Charter Broker Putting Your Boat First? I am a yacht captain and I have noticed a recent attempt by one or two yachting companies to reduce a yachts advertising by preventing other brokerages from advertising owner’s yachts. The result is disastrous for your boat’s charters – not good in a market where there is too many yachts and not enough charterer clients. If your boat cannot be found on most or even some of the large charter websites it is almost certainly being restricted by your agent without your knowledge. To give your boat the best chance of getting the most charter bookings, at the highest free market price, my advice is to know your broker’s real motives and to ensure that your central charter agent is acting in your best interests and not just their own! I dont know if this sneaky attempt by one or two bad apple large charter central agents (CAs) is mistakenly aimed at attracting the charter client directly themselves so they don’t have to share commission….? However, this notion is completely misconceived as the charter industry is a very competitive market and your boat will not be seen if it doesn’t receive the exposure you have been promised. Retail brokers look after the charterers and the retail brokers are the ones with the guests. They organise the charter. The retail client can only book your yacht if they are aware of it. If no clients can find your boat because it is not openly marketed (and if that charterer’s trusted retail broker is also unaware of your boat), then you have lost that paying guest. Maybe some yachting companies are struggling financially and instead of trimming their budgets and streamlining their operations – like most boats and firms have been forced to do over the last few years – they are instead reverting to misleading captains and owner’s. They are trying to increase their commission at the expense of your charters. I know that this is probably rare but it apparently drives retail brokers crazy because they are the ones who have the charter clients ready to book your yacht, but they are frustrated by this self-serving behaviour as perpetrated by some CAs. The result has been a significant reduction in bookings over the last couple of years, but only for the small number of boats affected – is your boat one of them? This is all at a time when charter sales have been generally recovering well on unaffected boats. Is your boat being restricted without your knowledge? Is this happening to you? Is your CA broker actually promoting your boat in good faith to all avenues and retail brokers worldwide as they should be and have promised to? It is quite unbelievable (and very sad) but completely true that some central agents are putting their profits before yours. They are your agent and they work for you and this is an unconscionable act of greed. If you can only find your boat’s charte rate advertisied in a few places on the internet or only prominently on your CA’s website and not on all of the other large charter sites, the chances are very good that your boat’s advertising is being artificially controlled without your knowledge – despite your CA’s promise to maximise the marketing and charter sales of your yacht. This sort of subterfuge is what gives the yacht brokers a bad name and is one of the things that has led many yacht captains to have a dim view of the so called ‘professionals’ in this part of the yachting industry. You represent your boat, your crew and your owner. If your owner wants charters and your crew want tips you have a responsibility to do something if this is happening to your boat. 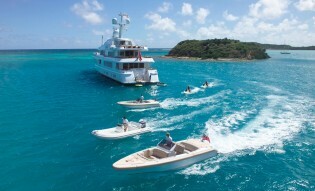 The Solution – Remove Your Dodgey Broker And Increase Your Yacht’s Charter Weeks. So, what can you do about these shenanigans? What can you do if your yacht is not receiving full marketing exposure so that your CA can try to (mistakenly) increase their own profits at your expense? The solution is simple, check and then march with your feet! Change CAs. Unbelievably you will need to make sure your new CA confirms that they will not restrict your yacht’s marketing too. If your boat cannot be found on the large charter websites it is almost certainly being restricted by your agent without your knowledge. The other thing you can do is to enquire with one or two other charter companies to see if they have been told by your CA not to show your yacht on their site. If they have, change CAs immediately and/or talk to your lawyer about failed promises, broken agent agreements and recouping lost potential charter income. To give your boats the best chance of getting the most charter bookings, at the highest free market price, ensure that your central charter agent is acting in your best interests and not just their own! Leave a message below if you have any further suggestions about giving your yacht a fair chance to find charters, thanks. Thanks for the head up LYC! I feel sorry for the yacht owners and crew that do not realise this scam is happening to them! It is lucky that most of the brokers out there are actually very professional and dont restrict advertising to try and greedily increase their own profits. How can they actually restrict advertising anyway? They have no right to solely feature a yacht unless they own copyright in images or info. Actually LY has never yet been asked to remove information on a boat by a yachting company i dont think. I guess this is becasue LY does not sell charters ….. If we did it may be quite different. It will be interesting to see if any other owners or captains make some similar observations. I find it hard to believe that this sort of coruption is actually happening….Captains and owners woul;d just change brokers…until you provide a name and boat name we can only assume this surely couldnt be the reality. Yacht Spotter, I dont need to provide names because this is a general practice by a couple of companies affecting a number of boats. The owners and captains dont change brokers because they are completely unaware this is happening! Thats the point. John, I think most brokers are ok, you are right there. Its sometimes true, you can just check for yourself online….just another thing captains and boats owners need to be aware of and need to avoid…..! Boats are geting more and more complicated these days to run with taxs, rules, safety – you think brokers would be helping to finding charters, not hindering!